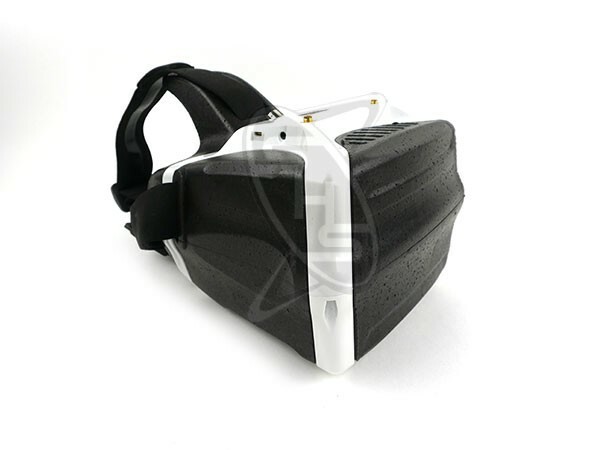 The new HeadPlay HD FPV Headset Goggles are packed full of features that every FPV enthusiast will enjoy. The HeadPlay HD Headset was designed from the ground-up with the FPV pilot in mind, with quality, performance and comfort at the forefront. The HeadPlay HD gently rests on the forehead/cheeks spreading the weight out evenly. Three straps securely hold the HeadPlay HD in place while at the same time blocking light coming in from the outside. The end result is a cinematic experience that is sure to impress. Enjoy the flight of your drone with first pilot view through a headplay goggle! Feel the exhilaration with this latest add-on!